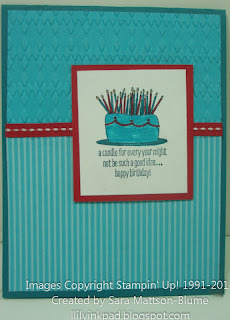 Lily's Ink Pad: Happy Birthday with Many Candles! 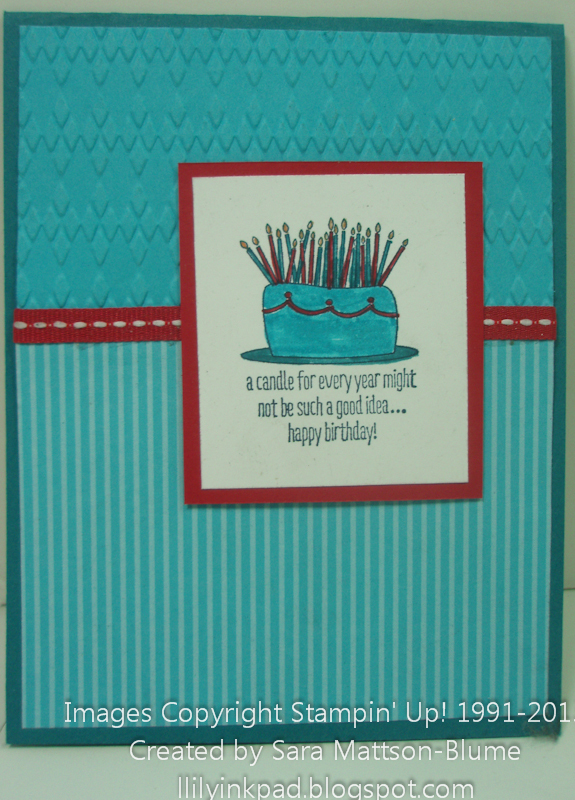 Boy Birthdays are on order for my Stamping Celebrations group, so here is one I designed that could easily be a "boy" card. I made this a quick and easy and cute card, so that my group could make multiples in a hurry.